Kentucky Commissioner of Education Dr. Wayne Lewis wants the names of those teachers who called in sick in order to protest education legislation at the state capitol, forcing schools in several counties to close for six days in the last two weeks. 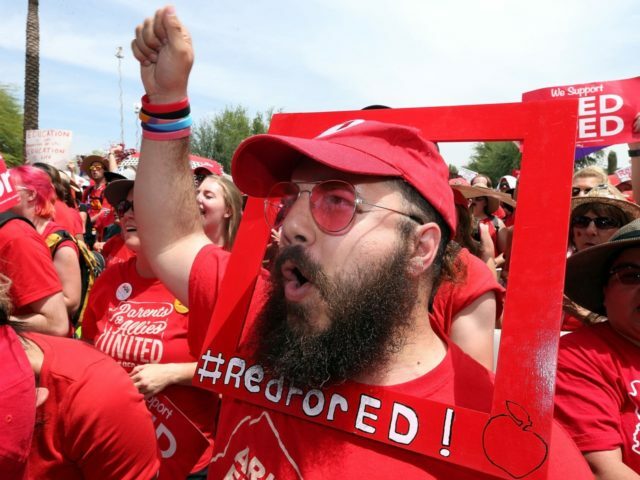 KY 120 United is a #RedforEd associated group, which, according to its Facebook page, was founded on March 8, 2018, just a few days after 24-year-old teacher Noah Karvelis launched the #RedforEd movement nationally in the first week of March 2018. A teacher sickout shut down Kentucky’s largest school district [Jefferson County Public Schools] on Tuesday as educators associated with the #RedforEd movement abandoned their job duties to protest at the state capitol in Frankfort against legislation they oppose. Attendance records of teachers have been requested by the Kentucky Department of Education (KDE) in light of a high number of teacher absences that have caused multiple districts to call off classes since Feb. 28, 2019, when protests regarding education legislation began. Any and all affidavits or certificates of a reputable physician stating that the employee was ill or caring for an ill family member on the days the employee called in sick, as required by KRS 161.155 for the granting of any sick leave; and Documentation of the district’s policies, procedures, and/or protocols for collecting sick leave affidavits or certifications and verifying qualification for the granting of sick leave. “The Kentucky Department of Education takes the closing of schools very seriously,” Commissioner of Education Lewis said in the statement. “While it is important that administrators, teachers and students make their voices heard about issues related to public education policy, advocacy should under no circumstances be putting a stop to learning for entire communities. Most Kentucky districts have managed to make that avenue available without work stoppages and have continued to serve students,” he added. The following day, Friday, attorney Matt Wohlander threatened the Kentucky Department of Education with a lawsuit over the request. That same day, three high school students from Manual High School, part of Jefferson County Public Schools (Louisville), with school shut down for the day, created a video supporting their sickout teachers which in a week has had over 23,000 views. Student support for striking #RedforEd teachers has been shown throughout the country, as was the case in the recent Oakland, California #RedforEd teachers strike. “Teachers have the same rights as any other citizen to engage in the political process, and I applaud teachers and all Kentuckians who choose to engage in education advocacy. Teachers do not, however, have the right to call in sick when they are not sick in order to force a work stoppage in Kentucky school districts,” he added. Kentucky students cannot afford to lose instructional days. Students in Jefferson County – where 36 percent of economically disadvantaged elementary school students score at the Novice level on state reading assessments – especially cannot afford to lose six instructional days. Forty-three percent of African American elementary school students in Jefferson County score at the Novice level – the lowest of four performance levels – in reading. Scoring at the Novice performance level means students demonstrate minimal understanding of academic content at their grade level. 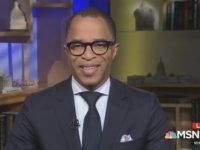 “The legal authority for the commissioner of education to make such requests is indisputable,” Lewis added. On Wednesday, WUKY reported that Lewis subsequently said that once he receives those names, he won’t use them to punish the sickout teachers–unless the sickouts continue.